Home births on the rise in U.S. Between 1990 and 2004, the number of women who were choosing to give birth at home steadily declined. But in 2005 the trend turned, according to a new report released by the National Center for Health Statistics on Thursday. The number of home births in the U.S. jumped by 29% from 2004 to 2009. Although home births are still rare - they account for less than 1% of all births - this is a pretty rapid increase, said Marian MacDorman, statistician at the Centers for Disease Control and Prevention. "Forty, 50 years ago, there was this idea that hospital birth was more modern. Now it's the opposite." The biggest increase was in non-Hispanic white women. About 1 in 90 births in that segment of the population is now a home birth, according to the report. Home births are most common among women over the age of 35 who have already had at least one child. The data doesn't tell us why home births have increased, MacDorman said, but she can take a few educated guesses. Cost may be an issue; on average, home births cost about one third less than hospital births. Another reason may be dissatisfaction with the care women in labor receive at a hospital. Doctors and nurses are busy, often caring for more than one patient at a time whereas at home, a woman can have a midwife attending only to her. Home births are all about personal choice, said Eileen Beard, senior practice advisor for the American College of Nurse-Midwives. Beard has been a midwife since 1977 and has attended the births of thousands of babies. "It's 'attended,' not delivered," she said. "The mother is the one who delivers. We just catch." Beard said women are becoming more aware that they have a choice when it comes to having their baby. Mothers often choose to deliver at home because they embrace the idea that giving birth is a normal, physiological process. "It's difficult to have a normal birth in the hospital setting because of the culture of the hospital and interventions that are routine," Beard said. At home a woman is free to surround herself with the items and people she loves. She's able to move around and get into a birthing position that's comfortable. While this is possible at a hospital, procedures and routine make it more complicated. Feeling safe and relaxed leads to less need for medication, Beard said. "The more control you have over what's happening makes a big difference." Safety is always the number one concern. Home births have a lower risk profile than hospital births, with fewer babies born premature, fewer teen mothers and fewer multiple births, according to the report. That's because midwives do such a good job of choosing candidates, according to MacDorman. Beard said certified midwives have guidelines and protocols they follow. Mothers should be healthy with no major medical problems or obstetrical complications. And if there's a problem during delivery, they don't hesitate to take the mother to a hospital. It is a personal choice, but you need to know what you are choosing and once you make a choice, you have to be ready to take responsibility for whatever happens. I was lucky. I had great prenatal care and a natural birth with no drugs whatsoever, with an OB, in a hospital. My baby was born less than 3 hours after I got to the hospital. My husband, my mother and a nurse were with me all along and everything was great. If I were at home, I would have likely been very scared, because I started bleeding soon after going in labour. It turned out to be of no consequence, it was just because the labour was proceeding too fast and it resolved on its own. Being in the hospital I was not worried, I knew if anything turned for the worse there was help right there. I have a friend who chose a midwife at a birthing center "only minutes away from a hospital". She was healthy, had a normal pregnancy and had a wonderful experience at the birthing center. So she made the same choice with the second pregnancy. Except this time around things went wrong unexpectedly. The only thing she remembers from this second "experience" are the few minutes it took for the transfer to the hospital, when she could hear the paramedics: "we are losing him, he is not going to make it". He made it, but now has developmental delays. And the mom is still asking "what if". Would being at the hospital have made a difference? She will never know. And she is not taking it lightly. The "what if" applies to hospital births as well. Plenty are "perfect" and then in birth or treatment are traumatized in some way. That's why it's important for a woman to be where SHE feels most comfortable. I've had the bleeding during labor, but I knew that it was normal and wasn't scared. However, I did not like being surrounded by strangers who were treating me like every other of the 100s of women who come through every month. So I felt more comfortable at home and was better able to deal with complications than I did when I was at the hospital. Different strokes for different folks. Everyone's experience will be different (which is why anecdotal stories are fairly useless). There is no one right answer, except that women should be able to choose wherever they want to birth, whether it's home, a hospital, or whatever. They will be the ones responsible for the life of the baby after birth, we really should trust her with that duty from the moment she goes into labor, not just after she delivers. One thing you have to remember when "things go wrong" is that whether you are at home minutes from the hospital or at the hospital, it takes approximately 30 minutes to get the OR ready. Your friend would not be attended to any quicker if she were at the hospital. She still would have to be transfered to the OR, have all IVs connected, team would have to be assembled. It's more complicated than you think. So that alone should tell you that just because you are right at the hospital does not mean things can happen faster. I also had a home birth and it was a beautiful experience. AOM and Mel, I agree with you. I agree that each person should make the decision they are most comfortable with. The problem with my friend is that now she does not know how to live with her decision: she no longer accepts that things could have been the same even at the hospital, she blames herself, she is depressed, and that is bad for her and the kids. You cannot make a decision under the assumption that all goes well. You have to know that you will be comfortable and you can take whatever happens even if things do not go exactly as planned. You make a very good point. Thirty-three years ago my twin sons were born in a very fine hospital. Although my pregnancy was uneventful, I developed pre-eclampsia in the hospital, and needed a C-section which saved my life and those of my sons. There is no good reason to opt for a home birth. It is simply too dangerous. A mother not only risks her own life, but she risks the life of her baby as well. Mel- As an OB I can assure you that no OR takes 30 minutes to open in an emergency cesarean section. Generally, it takes 2 to 3 mins to transfer to the OR, 1 min for general anesthesia, and the fastest I have every seen delivery after that point is 30 seconds. I agree 100% what you are saying, when I gave birth to my son, after a healthy pregnancy and labor, his heart rate declined very quickly and I was rushed into the OR for a c-section. My son was born with a heartrate of 30 and not breathing, from the point of everything being fine to him being born took 30 minutes. I do not believe that if I was at home, which is close to the hospital, he would have been born within that time period and who knows what the outcome of that would be. The thing for me is you do not know what will happen. Mary Ann, no midwife will deliver twins at home – the risks are just too great. On the other hand, what about the idea that you risk your baby's life when you DO deliver at a hospital? There ARE risks there, you know. MSRA infections. Other germs, like the nurses having the flu (something that has killed a few babies). There are risks no matter where you give birth. OB, in the state of NJ, the average "decision to incision" time was 30 minutes. That was told to me by the hospital that we would have transferred to, if there had been the need to transfer to the hospital for my daughter's birth. Your assumption is that the hospital has all its ducks in a row; that the OR is ready, the the OR was available, and not in use, that the anesthesiologist was present, etc. That simply isn't always the case. I have to agree with the first post here. A recent meta-analysis revealed that while dangers for mothers were not significantly higher with home births, the rate of infant mortality in home births was TWICE that as hospitals. This is even AFTER midwives supposedly only take low-risk births. If midwives only take low-risks deliveries, and the infant mortality rate is STILL that high, that's definitely saying something. It really disgusts me that this "debate" centers around the "experience" for the woman, where the woman "feels comfortable", etc. Why isn't this debate about what is the safest for the most defenseless person involved-the child? And, clearly, home births are not at all safe for the babies themselves. Mothers-if you believe in wearing a seatbelt, not smoking and drinking while pregnant, etc. you believe in those things because statistically speaking they are dangerous to do. Why in the world would you then have a home birth when it's statistically unsafe? Infant mortality rate twice that of the hospital? There are a couple of things you need to be aware of. First is the rule of small numbers. Even if you were right about the numbers, the infant mortality rate for the US as a whole is about 6 per 1000 births. The infant mortality rate for PLANNED home births of women with uncomplicated pregnancies with Certified Nurse Midwives (CNMs) is 2 per 1000, and the number for uncomplicated hospital births with OBs, is... 2 per 1000 births. The only time the home birth number is "twice" that of the hospital, is looking at the mortality rate for Direct Entry Midwives (DEMs – they are unregulated, and have far les training) attending an uncomplicated pregnancy at home, and that rises to 4 per 1000. So yes, if you choose a lesser-trained type of midwife, the rate IS double that of hospitals, but does that make it "dangerous"? You also have to be careful of studies that show home birth is dangerous – the big one that was released several years ago, lumped accidental/unplanned out-of-hospital births of premature infants in with the planned home births. Finally, lets compare the US (6/1000) rate with only 1% of births at home, with that of Holland (3/1000). In Holland, 30% of babies are born at home, yet their infant mortality rate is HALF that of ours. ...therefore all women need to go to the hospital to give birth. Very logical! Any scientific study to back that up? Diane (1/27, 11:40) – not too relevant to this topic, but f/y/i there are "white" Hispanics. I am one. Ditto, white "hispanic" here. I just put myself in the white category. I had a home birth and it was a spectacular experience. I had a water birth and about 2 minutes after being born my daughter stopped breathing. Luckily my birth was attended by two wonderful midwives who knew neonatal resuscitation (along with TONS of other skill sets) and had her breathing in less then a minute! They called an ambulance out and firefighters immediately when she stopped breathing and she got checked out at the house without a trip to the hospital. I think the most important factor for homebirth is picking the right midwife. I picked a two person team, one who had attended more then 10,000 births (awesome Grandma type lady) and a young woman who was heavily medically trained (CNP, CNM, etc). I would definitely have another home birth, this was my first child. Having a greater than 30% c-section rate is what should be horrifying. Could not agree more! I kept waiting for this article to say the reason more women are choosing home births is because women are getting smarter and realizing doctors are only worried about covering their butts and will intervene with C-sections for almost no reason. It kills me that I have so many friends that schedule their C-sections for their first births because they can. I don't understand when it became acceptable to not go through a natural process and go through major surgery instead. Redsun, that is just BS they feed you to cover their butts. There is really not much of an increase in the likelihood of a uterine rupture in subsequent pregnancies, as you state. I wish I had the link to the article I read on that last week. My mother had an emergency c-section with my older sister (her umbilical cord was wrapped around her chest and neck, choking her) but had natural births with me and my little sister, with absolutely no complications. Granted, this was in Brazil where they're more concerned with the actual health of the patient than a potential malpractice lawsuit. I actually told my husband yesterday to not let a doctor open me up unless there is an emergency. Though, I'll likely opt for a home birth with a midwife and doula. I am encouraged by this article, adding to a growing abundance of scientific literature that supports home birth as a safe choice for women screened as low risk. Women have the right to safe options for care, and deserve the safest care for the choices they make. Countries with the best maternal health statistics all use midwives as primary care providers with access to OB referrals as needed. This same standard holds true for midwifery in the home setting. Central to home birth safety is having midwives that are nationally certified and state licensed so they can carry safety equipment to the home setting, with established means for obtaining OB assistance based on risk screening criteria. This is how the entire health care system works, and home birth is no different. Where midwives are not supported by state licensing, such as some of the birth stories here, they do not fit the current description of safe home birth. Therefore licensing laws must be brought into line with established evidence: Women choosing home birth must have access to midwives who are able to carry safety equipment and establish collaborative relationships with OBs. I provide screening for low risk status, and make timely referrals prior to emergencies. I manage sudden emergencies at home births with the same medicines and skills as available for first line management in the hospital. That means I manage cords, malpositions, bleeding, resuscitations, stuck shoulders, shock, meconium, etc. I carry medicines, IV, oxygen, because the laws in my state provide me the authority to provide women and babies safe care at home. OBs and hospitals are important options for women with higher risk conditions, or women who do not feel comfortable with other non-hospital options. But the evidence is clear that maternity care is the US lags way behind other industrialized nations and even our own national health services goals. Increasing reliance on technological models of care is actually limiting the availability of natural birth care in hospital, and this is what is driving the increase in women seeking home birth, esp in those women who educate themselves about choices and controversies in birth care. effects, it is quite possible that home births, which avoid those interventions, prevent those adverse effects and scary scenarios. What is absolutely true according to quality comparative studies limited to low risk pregnancies, babies do die at home births and they die at rates similar to babies born in hospitals. As noted in this study and others, because of screening inherent in quality home birth care, mothers and babies at home births also experience better outcomes, such as less prematurity, less low birth weight, lower rates of induction, lower rates of epidurals, lower rates of cesarean section (which has 4-7 times the rate of maternal mortality), better rates of breastfeeding initiation and success. Quality indicators also identify higher levels of satisfaction and "experience" factors. But in my experience, families choose home birth primarily for reasons of safety. Thank you for what you do and how well you explained it!! Will always regret that I live in a state that is very anti-homebirth with a midwife so that choices are purposefully limited. Your inability to recognize cause and effect is, I suspect, what leads you to do what you do. First, this article and it's accompanying study do not add to the literature about the safety of home births, as you blatantly lie about. 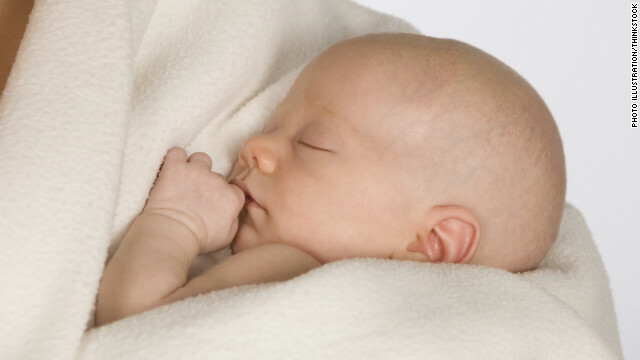 It simply states that home births are on the rise. Second, actual research (not silly idiots sitting around confusing correlation with causation) posits that the countries you refer to "with better maternal statistics" have better maternal and infant mortality rates BECAUSE they have universal, free prenatal care. The US has worse infant mortality rates primarily because of low birth weight babies – which is the result when women have little, inadequate, or no prenatal care. Therefore, our bad rates have nothing to do with home births/midwives and everything to do with our healthcare system. Unless you are out there providing free prenatal care (which is laughable), you and your European colleagues do not get to claim credit for something that has absolutely nothing to do with you. And, besides, just because the women doing home births are "educated" does not mean they're intelligent. My wife and I chose to have a home birth with both of our children, and we are highly educated (I am a Ph.D. and my wife is an engineer). The first was in New Mexico where home birth midwives are licensed by the state, and the 2nd was in Michigan where midwives are not licensed by the state. In both cases we had excellent prenatal care from the midwife. This included ultrasounds (at a clinic) and the full battery of blood screening test that we would have gotten in an OB's office. Both my wife and I fully support state licensing of midwives, so a midwife can provide basic first response medical care when there is a need. We learned a lot in New Mexico which enabled us to make smart choices when choosing a midwife in Michigan. For a healthy woman with a pregnancy that is progressing normally, a home birth is a very safe option. While home birth prenatal care is not free, it is much less expensive than a standard hospital/OB birth and just as effective a highly trained midwife is providing the care. In New Mexico the home birth (and prenatal care) cost was $3500 and was fully covered by insurance. In Michigan where midwives are not licensed by the state we paid out of pocket and the cost was less than $2000. My wife gave birth to our son in our home. It was great. When the midwife and doula were done and made sure wife checked out (showered, ate food, etc) they tucked all three of us into bed. He weighed 9 lbs, first time mom. If you are even remotely interested I suggest taking Bradley Method birth classes. too many of my peers have either lost babies at hospitals or had c-sections... i am choosing home birth thank you. I think it's great that women are choosing more home births! I had my first son in the hospital, and will do the same with the second. "Epidural please." mm1970, I'm so glad you posted that. I was reading all of these posts and berating myself for being the worst mother in the world. I also think it's wonderful that home births are becoming a better option for women. And I greatly admire those who give birth without any medication. However, I am a wuss. Give me the epidural NOW. Could I have done it without pain medication? Of course, millions and millions of women have given birth with no meds and millions will in the future. Would I have had a second child knowing that there were no meds available? Absolutely not. It's really great that both of you understand what you need and want, while being supportive other others who feel differently. If pain-relief is important, then hospitals are the best and safest place for you, because being co mfortable with your environment is important to a good outcome. If you cannot relax and let nature take its course, then the birth isn't going to go well. I birthed at home, and am glad I did so, and if I HAD needed to go to the hospital, then an epidural would have been my first choice of pain relief. I also enjoyed reading your open and honest perspectives, you know what you want and are also supportive of what other women choose. I applaud. I wanted to comment that I smiled to myself with the comment that you "are a wuss" so choose pain relief. I also am a "wuss" but for needles, especially in my spine, so avoided it for essentially the same reason!! Enjoy your babies! Sweet picture, but the poor kid is bald! My dad and all my uncles were born at home–this was in the 20s and 30s (you know before modern medicine). If you expect a healthy delivery, then it could be an option. The question is, do you want to take the risk? I understand there are birthing centers that has a home-like environment as opposed to hospital and that seems a reasonable compromise for a healthy mom and baby. kind of sad. reason is they cant afford insurance, and cant afford to go to the hospital. Sometimes is a part, but many times not. I had insurance that paid my midwives, I paid the out of network co-pay. Nothing sad about it. I have insurance that will cover 100% of a hospital birth. I am a childbirth professional myself who sees plenty of hospital births and am choosing a birth in my home. I'm paying out of pocket for this... which means I'm paying MORE because it means that much to me. I've seen way too many very healthy, normal births go down unfortunate roads of intervention in hospitals if only they'd been left alone everything would have been fine. I'm not "anti-hosptial" and have excellent OB backup if anything arrises during my pregnancy or labor at home. But there's no reason to say that it's "kind of sad" to choose to birth in a more natural setting. Especially when it has nothing to do with "affording" it. What I can't afford is to put myself or my baby at risk of unnecessary intervention. Props to all you ladies woman enough to make an educated decision on child birth and not just follow like sheep. I recall all women used to have to have home births. I believe the mortality rate was around 50% for both mother and child. Statistics saying women have more success at home is skewed because these women were unlikely have problems in the hospital. But...to each to their own. Having a choice is important. That could have benn in part due to a lack of knowledge and access to decent medical facilities in the event of a problem arising. Also I don't believe the mortality rate was that high, 10-15% is more like it. The fact is women have been giving birth all over the world under all kinds of conditions and locations. It's a natural process that for some reason American women are afraid of. Could I ask your reference for the 50% mortality rate? Erin, the infant and mother mortality rate in the 1700s was less than 1%, when all babies were born at home, with midwives attending. In the late 1800s, women started going to the hospital, especially poor women, who could not afford to have a midwife come to them. And the death rate was 20-30% from childbed fever (infection picked up in the hospital, where doctors had no clue about hand washing). It wasn't until the 1920s that the mortality rate started to go back down to colonial levels, due to a better understanding of hygiene, and antibiotics. Either way, looking at historical figures is utterly moot. With understanding of modern hygiene and medicine, both home birth AND hospital birth are far, far safer than they were in the past. My midwives attended 2000 births over 20 years, 90% of them home births, and never lost a single mother or child. Not one. Child birthing is natural and a womans body is designed for it. All three of our children were born at home. Its more natural and relaxing for the mother and it helps to bond the family together as we all get to participate in caring for the birthing mother. Children get to see and experience the awesome miracle of birth while the mother can relax and truly allow her body to do what it's designed to do. One of the reasons woman have been using hospitals is they have been mis-led to not trust their bodies and what their bodies are designed and programmed to do naturally. In these modern days, shows like ER with their horrific birthing scenes, scare the bejesus out of women and they believe they need drugs and so forth. The simple fact is woman are designed to birth children... if they weren't we would have died out long ago as a species. Not every woman would be more comfortable at home. I know I wouldn't. I had a wonderful hospital experience (including an EVIL EVIL C-SECTION). I don't regret it a bit, and I would never want to give birth at home. With all that said, I'm so glad I live in a country where we still have a choice about our medical care. Women are not designed, but evolved to give birth in the manner with which we are familiar; to that end, it also carries with it a high degree of risk. There is no such thing as a "normal" birth. You go GlockG20 and all of you birth warriors! We can and should be more aware of how awesome our bodies are. It is up to us to educate the younger generation. this has to be the best comment left all day! Thank you, "Mr." Difficult. Personally, if I didn't have the equipment to birth babies, I wouldn't be commenting! Wow...my body, my children, my choice. Four children – #1 born under the care of an ob-gyn in the hospital. Horrible experience. So bad that when I became pregnant with #2, my family doctor said I didn't seem happy to be pregnant. To the contrary, I was very happy to be pregnant, I simply did not want to have the same experience as I'd had with our first. Our doctor understood our desires, we had a birth plan and it was a better experience. #3 and #4 were born at home by choice. #4 weighed 10 pounds 6 ounces and was 2 weeks early by EDC standards. He got stuck briefly, turned a bit purple, but once warmed and in my arms nursing, all was well. #3 had a true knot in her cord. The midwife untied the knot. It doesn't take a rocket scientist or a doctor to untie a knot. All of our children were exclusively breastfed. I nursed through pregnancies and also tandem nursed non-twin siblings. There is a difference between attending and delivering. Mom's deliver babies. Everyone else is an attendant. To take that word, that honor, away from the work a woman's body does is insulting. When a baby dies in a hospital, no one looks at you and says, "What were you thinking?! You should have had that baby at home!" When a baby dies in a homebirth, people do look at you and say, "What were you thinking?! You should have had that baby in the hospital!" Contrary to what someone said, you can go to school in this country if you do not vaccinate your children. Our children were born in '91. '94, '95, '98. We stopped all vaccinations in 1996. Our youngest is completely vaccine free and he is our healthiest child – all born to the same parents and again, all exclusively breastfed. If you choose to vaccinate your children and if you believe in the efficacy of those vaccinations, then my unvaccinated children are of no risk to your vaccinated children. There are inherent risks in hospital births as there are in homebirths. There are inherent risks in vaccinating, yet far fewer risks in not vaccinating. It's about choice and informed consent. No one has the right to tell me where I can/can't birth and no one has the right to force toxins into my children's bodies. Why do we have a Vaccine Injury Compensation Fund? Think about it. If I had my life to live over again, all would have been born at home and they'd all be vaccine free. If all parents decided not to get their children vaccinated, then there would be a huge risk regardless of feeding methods as an infant. Over time, vaccines are what is best for the most children and adults...hence the major drop in infectious diseases all over the developed world. how will you feel when when your unvaccinated children are responsible for the death of a infant who is too young to get vaccinations? or when your child dies from a preventable disease? there is nothing safer about avoiding vaccines.Homebirths are not as safe and innocent babies are harmed by their mother's making this choice. If you had a healthy baby at home that was luck. you are just being ignorant and are spreading your ignorance to others by posting such nonsense. I saw a dog in latest stages of tetanus. Rather difficult to get a vein for euthanasia. Thedistress and pain in that animal's eyes are the worst I have seen, I will never forget that image. I do not wish that on any animal, human or other. And yes, the bacteria causing tetanus are still around us. @ guest. I am sorry, but your statement of fact is not supported by the research evidence. The higest quality evidence shows that home births are as safe for babies as hospital births for those women screened as low risk. Two great sites to explore for evidence-based childbirth information: Lamaze Science and Sensibility and Childbirth Connection. Whether or not a family chooses to vaccinate or not is unrelated to this article and home birth. Separate issues entirely. True knots don't need to be untied at delivery, you clamp and cut the cord, you don't spend the time trying to untie the knot. They are really only a problem prior to delivery if blood flow to the child gets compromised and then you want to get the baby out as fast as possible! Maybe you are thinking of a nuchal cord where you have to unwrap the cord from the baby's neck at delivery. No. Your unvaccinated children ARE a risk not only to vaccinated children (most vaccines lose efficacy when herd immunity" drops below 70%) but also to infants too young to be vaccinated, elderly people, and people with impaired immune systems. In fact, your "healthy" children are freeloading off herd immunity – they are relatively protected from vaccine-preventable illnesses only because the majority of the population has been vaccinated, thereby reducing the chance that an epidemic will take hold. Have you ever seen a child with pertussis (whooping cough) or measles? I have cared for several children who nearly died of complications, including irreversible brain damage, from these horrific yet preventable diseases. Believe me, accepting the minuscule risk of vaccines would have been worth it to these kids and their parents. To all those responding to Laura, if you're going to argue, at least be logical. If a child is vaccinated, diseases have been injected into their bodies. They are then carrying diseases, and they even shed them for a couple weeks after. These VACCINATED children are a risk to the immunocompromised IF they come in contact with them–ask any cancer patient because their doctors warn them against this contact. Unvaccinated children, on the other hand, are not carrying these diseases unless they are sick with them. If you see a sick child, regardless of what the illness is or whether or not there's a vaccine for it, isn't it basic common sense to avoid the child? If you do some research on each disease, you'll see that most of them aren't even contagious anymore by the time the major symptoms appear. Do some reading before you start the fear mongering. If your precious vaccines work, your children are not at risk. My husband got whooping cough when our baby was two weeks old. We didn't know what it was at first and we didn't limit contact with him. Our child did not get sick. Correction..."Moms deliver babies" not "Mom's..."
Granddaughter was born at a hospital with a midwife (who provided all the prenatal care). She was delivered 4 hours after arriving at the hospital. Midwife many times during labor said what a wonderful normal, healthy pregnancy and what a wonderful labor my daughter was having. My granddaughter was born with an unknown congenital diaphragmatic hernia. Prenatal ultrasound was read as normal. So, she was born with her bowel, spleen, and stomach in the left side of her chest where her lung should have developed. Her heart was shoved to the right side restricting the lung function on that side. She was missing 3/4 of her diaphragm on the left side. She required surgery at 7 days of life. On a ventilator for 16 days. Almost required heart lung bypass machine. 33 day NICU stay. If she had been born at home she would have DIED!. Make sure you can handle the guilt if something like this happens at home. Yes, sometimes babies die at birth, including in the hospital. But will you be able to handle the guilt if the baby picks up an MSRA infection at the hospital, and dies (something that wouldn't have happened at home?). There are risks no matter where you give birth. I stabilize babies with diaphragmatic hernia at home and transport. This rare condition has nothing to do with whether home birth is safe. By the way, Congratulations on your grandchild. I am amazed by all the "terrible hospital experience" stories. I had a wonderful experience giving birth in a hospital. It happens to be the hospital 10 minutes away from my home and is just a regular, small hospital. I could bring anything I wanted with me in the private birthing room (e.g. music, pictures, personal objects); it had adjustable lights, I could "create my own atmosphere" and make it as comfortable as I wanted. I could bring anyone I wanted with me. I had a couple of family members and they stayed in the birthing room with me, together with a nurse. Nobody pushed any drugs or interventions on me. During an earlier visit I was shown around, I was told what to expect, what is available for pain management, for emergency interventions, etc. But even though labor turned out rather unusual, I had a perfectly natural birth, with no drugs of any kind. Since I did not want/need anything, I did not get anything. The nurse encouraged me to move, change positions, and was always nice and ready to help. The OB came in to "catch". My husband was right there as well. He cut the cord and was the first to hold the baby and hand him over to me. He stayed with the baby while I cleaned up and then we all moved in our private hospital room where my baby started nursing and we all had a great time. No terrible noises, no crowds of strangers, nobody pushing any drugs or other interventions on me. Only a few very professional, nice people to help. Nobody took the baby away from me (he did, of course, have his check-up when I said it was OK and my husband was right there with him all along). All the expenses were covered by my insurance. And we had the peace of mind that help was there if anything went wrong. Everyone going to this hospital has a similar experience. Is it really that special? Were we really that lucky? Was my OB also special? I had great prenatal care and I got the OB's recommendation for a great child birth education class (one of the other participants was telling us how this is really about child birth and not about how to be a good patient, as she had experienced somewhere else). The bottom line is: wonderful hospitals with wonderful people actually do exist. So finding such a place might be the best option for many. Good luck! I had a home birth, and it went great. But yes, good doctors and hospitals do exist. When I was a teen, I was present when my mother gave birth to my little brothers, and I got to see two hospital births first hand. In one of them, the baby was born only 13 minutes after we got to the hospital, and the nurse delivered him, because the doctor didn't arrive in time. The other time, the two doctors attended my mom like two old midwives. We never even saw a nurse, believe it or not – the docs (family practice, not even OBs) just hung out with my mother for the 4 hours or so that we were at the hospital prior to the birth. Everything was relaxed and low key. But what I got out of it, was that birthing was mostly no big deal, and that hospitals seemed more like a place for sick people, not healthy laboring women. My mother felt the same way, and always said she could have just done it at home, and saved a lot of hassle. She was supportive of my own decision, and was present when her granddaughter was born at home. If there had been a problem, I WOULD have gone to the hospital, in a heartbeat. I have to say that the argument of the economy causing this rise is insane. Most women I know today are choosing to take part in their child births naturally. We have great insurance. Back in 2006 it cost me $100 bucks deductible to have the kid. In 2008, the deductibles for the same work sponsored plan had raised to $500 per person and $1500 per family per year. Now the deductibles are $750 each or $2500 per year. The costs to a working family is actually going up for child birth with insurance. In 2008 our home birth cost me approximately $2000 bucks out of pocket. We chose this birth and paid more for it, but we also had the insurance if we had to be moved to the hospital due to high risk. Our wild wife also wanted to make sure we had insurAnce if needed. So before people start talking about healthcare costs, just ask around and see how much the costs have changed over the past 4 years for the working class. Oh yeah, we are also over 35, white and both college educated. This was an informed decision. Costs are higher for home birth because statistically the baby will have a higher chance of being damaged (or at least not fixed) during childbirth....causing the insurance company untold millions in long-term care. By forcing the family into the hospital (where they belong), the chances of a healthy baby, and thus lower long-term health costs, improve. Thus....costs for home birth are rising. As they should. JG, you don't have any idea what you are talking about. Midwives tend to save the insurance, and health care systems money, not cost more. By sending ONLY the complicated births to hospitals, which are by nature VERY, VERY expensive, they save money. My midwives estimated that they had saved more than $1M over 20 years. They, by the way, never lost a single mother or child, with well over 2K births. Their C-section rate was only 7%. "non-hispanic white women"? as opposed to any other women of color that is not a white woman? With the death of education in the US, the rising costs of medicine, and rise of fundamentalist religious nut bags...it is no surprise that more and more babies are being born at home. One of the reason the US is leading western, technological nations in infant mortality. Newsflash: when something goes wrong with your baby or your wife...the hospital has all the equipment...and *gasp* actual doctors who know how to use it. These are the same people who think vaccinations cause autism and home school their children. Nut bags....each and every one of them. Again, you should do some research. The people who tend to elect for home birth tend to be college educated women over the age of 35 who do a lot of research. Most of them do not choose to skip vaccines, or homeschool, both of which are a completely different topic (some homebirthers like myself vaccinate, some don't. Some homeschool, some don't). If I ever have another child, I will more than likely have it in my home, or at a birthing center, but I will NOT have my child in a hospital, unless it is absolutely 100% necessary for medical reasons. I know most of the people I have mentioned this to have looked at me like I was crazy, but after having a bad experience with my 1st child, I would not wish to go through that again. I am not against doctors, or having a midwife present. I encourage these things, but I hated the hospital setting. I felt stripped of rights/freedoms/choices, and I felt pressured to do what they wanted without being allowed even a moment alone to consider the ramifications of what was being asked of me. I would much rather be in the comfort of my own home, where I can pick a position that is comfortable to me, and be in clothing that is comfortable to me, surrounded by people who are comforting. Giving birth is a stressful thing, and being in a sterile, unfamiliar environment with people who barely know you is not a scenario I wish to repeat. We had our third daughter as a planned home birth for sound safety reasons. Our first daughter delivered in 4.5 hours, the second in just under 2 hours and on the sidewalk in front of the hospital - she crowned as soon as my wife got up out of the car. We had every expectation that if we tried to deliver the third at a hospital, we wouldn't make it. So we signed up with a midwife team who lived nearby, as well as a doula who was even closer. #3 was born after 50 minutes of labor and was caught by the doula - the midwives showed up 12 minutes later. All three were good birth experiences, if a bit precipitous. Even the one on the sidewalk - the hospital staff brought out blankets and pads, held up sheets to make a human privacy screen, and the head delivery nurse caught the baby. 8 minutes after we parked. Later, after we'd moved into one of the recovery rooms, they presented us with a quilt signed by all the staff who had participated, something which I expect will be a family heirloom for centuries. I don't fault anyone for having an in-home birth. If you were aware of the mistakes that are commonplace in US hospitals you may think twice about having a hospital birth as well. They are as numerous as they are scary. i work at a hospital as an anesthesiologist and i can assure you ALL that if you have a complication at the hospital with anesthesia present; the time from problem to getting the baby out is roughly 10 minutes. when things go wrong at the hospital EVERYONE is moving at the speed of light. if things at the birthing center or at home go wrong ...good luck you'll be lucky to get to the front of the hospital in 10 minutes. pray we're not doing another c section and pray you don't need a blood transfusion. and you have no one to blame but yourself when your kid becomes impaired later in life. just hope nothing goes wrong and i'm sure you'll be ok but remember you can never get that chance back. is your comfort really worth your baby having a disability. What I love about the rise of evidence-based medicine is that the evidence start to lead one to decide that medicine isn't necessary at all. Extreme cases happen everywhere – at the hospital, in the home, or even on the highway on the way to the hospital. The data speak strongly in supporting the safety and efficiency of homebirths for low-risk women when attended by a trained and equipped midwife. What frustrates me is that so many healthcare professional form their beliefs about standard of care for birth through the extreme, anecdotal cases that they observe. You preach evidence-based medicine, when it comes to birth why don't you practice it? The "what if another c-section is being performed" argument holds true regardless of where you intended to give birth in the first place. Another responder on this article mentioned having to wait for her c-section because someone else was already in the OR. And your 10 minutes thing??? It was a HOSPITAL that told me that the average "decision to incision" time was 30 minutes. Now, such things vary from place to place of course, but I don't see how it could be 10 minutes, unless an anesthesiologist was ON SITE already. What if you are at home and asleep? Do all hospitals keep one on site at all times? My third child was born at home in 1992. He was 11 1/2 pounds and healthy. It was a bit tricky near the end, as my contractions stopped after the delivery of his head – but I had a wonderful, qualified midwife and we worked together to quickly finish the delivery. I have had several doctors since then tell me that I would have been an automatic C-section because I had "proven" that I could deliver a large baby. If I had it to do all over, I would have had all three at home. Of course there are risks associated with childbirth, no matter where you have the child. As parents we are responsible for making decisions, from the moment of conception, that affect the health and safety of our children. When you become a parent you are faced with a lifetime of choices. I am sure many parents whose children drowned, for example, feel they could have prevented it by not allowing the children to swim. The bottom line is we make the choices for our children based on our research, our experience, and our love for them. I am so grateful that we live in a country where we have access to good quality health care (in-home or in-hospital), and that we have options to choose from when it comes to the birthing environment of our babies! I feel that the dangers that come with at home births will always outweigh the pros. Shouldn’t the baby’s safety be more important than comfort? Every delivery is different. Every baby is different. No one can plan a safe delivery. At home births endanger the safety of the baby. Delivering a baby at home decreases the ability for intensive care experts to administer aid to a baby in danger quickly. Not matter how close you may be to a hospital or how trained your mid-wife is, if you baby needs expert help that only comes with a hospital. You could be sacrificing your baby for your own comforts. What if you need to have an emergency C-Section? Ignoring these dangers do not mean they go away. So why take that risk? Because you fear hospitals? Because you think doctors are careless? Because you don’t agree with the procedures or drugs that are used in a hospital? Those things should matter when it comes to your baby’s health and safety. Whatever decreases the ability for intensive care experts to help your baby quickly also endangers the safety of the baby. Every woman should choose what is right for her own self and well-being. Our society is so sadly disconnected from nature, our bodies being the epitome of what is natural. Once we regain that connection, we will again become aware of how beautiful and natural birthing is or can be... I'm not sure of what your background or experience is, but I recommend Netflix-ing (available on stream) "The Business of Being Born." It will truly open your eyes to what is really going and who's making BIG money, and at whose expense. Normally, they even make any type of footwear whenever driving your current cycle. Even so, in order to attain productivity, ease and comfort, and maybe avoid accidents, you need to don a great pair involving bicycling shoes or boots. These sneakers are particularly made to generate far more electrical power in most pedal cerebrovascular accident. Through the clip-in technique, they're collateralized towards the pedals. Using this method, an even submitting regarding force is applied to be able to both the upstroke and straight down cerebrovascular event resulting to a far more effective cycling action. Riding a bike sneakers can be found in two kinds. You can find individuals pertaining to path biking as well as for off-road riding a bike. The initial type is actually seen as a their own open shoes. These shoes are usually solely for bicycling reasons as is also really miserable just to walk in. The next sort features sunken cleats, this cause them to become ideal for walking. You will find variations of bicycling shoes employing diverse materials along with technology. Body of your respective biking shoes has to best in order to attain their particular function. They should become easily tight and there should be sufficient room inside footwear so that you can move your foot with no limitation. It is vital that your high heel sandals are usually warm within the footwear and they also never move around when you your pedal to help you carry out properly. The instep of one's ft shouldn't be constrained tightly any time fastening your own footwear. You already know you've observed your suit when you are able relaxation your feet with no blending that which the particular broadest area of the footwear will be able to support the actual ball of your respective ft . perfectly. Top quality bicycling sneakers may be known by simply their particular feet. More affordable brand names normally make use of plastic sole. Whilst they are cheaper, these kind of bicycling shoes are also weightier and the bottoms are more supple. Highway riding a bike shoes or boots should be light-weight and also the examiner must be stiff so that you can pedal with more performance and strength. Higher-end brands use graphite since bottoms to allow much more freedom minus the stress hypotheken involving weight. Although pricey, they are a good expense with regard to passionate riders. The top of percentage of riding a bike footwear also use light and portable content to present their own consumers comfort and ease and sturdiness. Based on the cost of the sneakers, the type of material may range through real natural leather, synthetic leather in order to plastic-type material. There are also different ways employed to batten a set of riding a bike shoes. It is possible by simply lacing way up, attachment upward, or taping upward. When installing any biking footwear, you ought not feel any stress while buckling this. Virtually any strain can easily depart the feet lessen because body is not able to circulate correctly. It is usually imperative that you determine if these comfortable shoes can be fixed securely. Any reduce part can get matted within the sprocket and also damage you in the process. Each and every willpower involving cycling provides matching bicycling shoes built to fulfill its wants. Path biking shoes get slim patterns with light-weight uppers and inflexible examiner to ensure velocity. The actual cleats are subjected to ensure tough supplies bring the sole. The tightness with the sole within riding a bike sneakers is critical in order that the bike owner can certainly apply a potent drive on the your pedal. Biking shoes or boots do not require bottoms which might be since difficult in order that they possess recessed cleats. More supple supplies can be used for really the only to support walking. Visiting footwear look like that relating to ordinary running shoes considering that bicycle visiting indicates lengthy journeys in addition to a great deal of walking when not for the cycle. The actual spikes aren't open along with the single is often manufactured from plastic with regard to freedom. Cycling shoes or boots for all downhill sporting needs far more stableness, manage as well as pace. It is vital that this lone can take onto the particular pedals necessary on this distinct type of motorcycle. The particular ankle joint element and toe hat are provided along with additional assistance to ensure fluidity in activity.